Liesl and Danny’s Labor Day weekend wedding was filled with real emotion and joy as they started their new chapter together. It was so wonderful to see Liesl and Danny reunited, given that the majority of the planning process he had been deployed overseas serving our country. 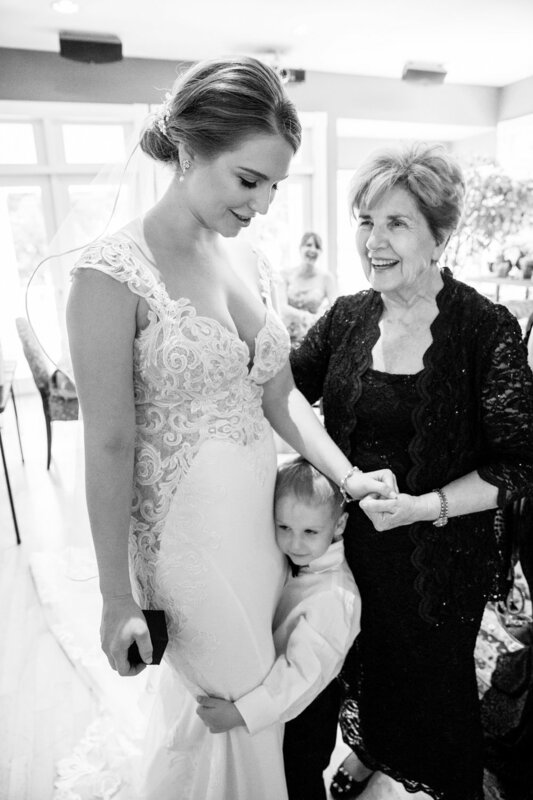 I loved working with Liesl and her sweet mom Kris to perfectly curate each detail for this wedding. 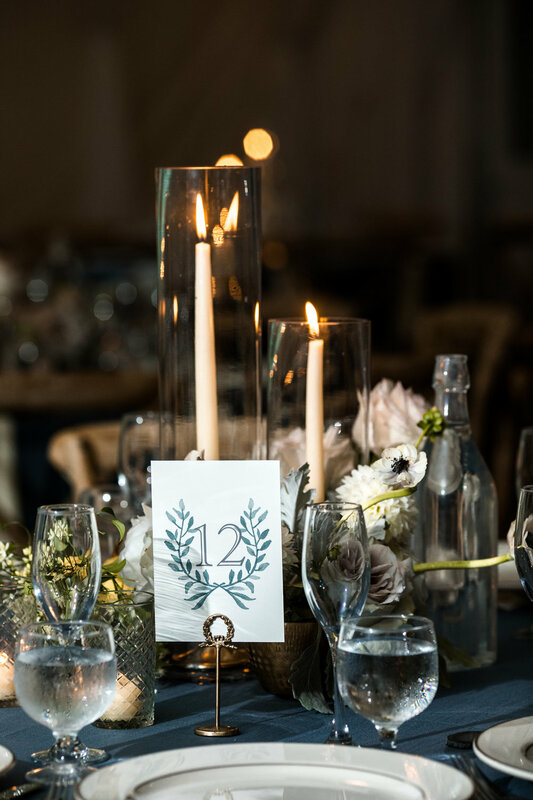 They have such fabulous taste and were totally willing to be creative and think outside the box, which for me as their wedding planner was a dream! 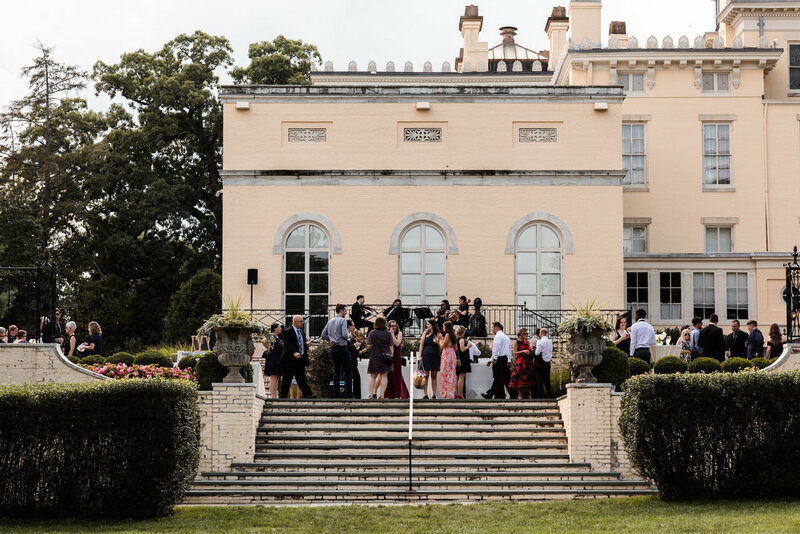 Our design inspiration came from Liesl’s vision of old world Jane Austen and fairy magic, and the Evergreen Museum & Library in Baltimore was the perfect venue to make it happen. Effortlessly elegant was the name of the game! 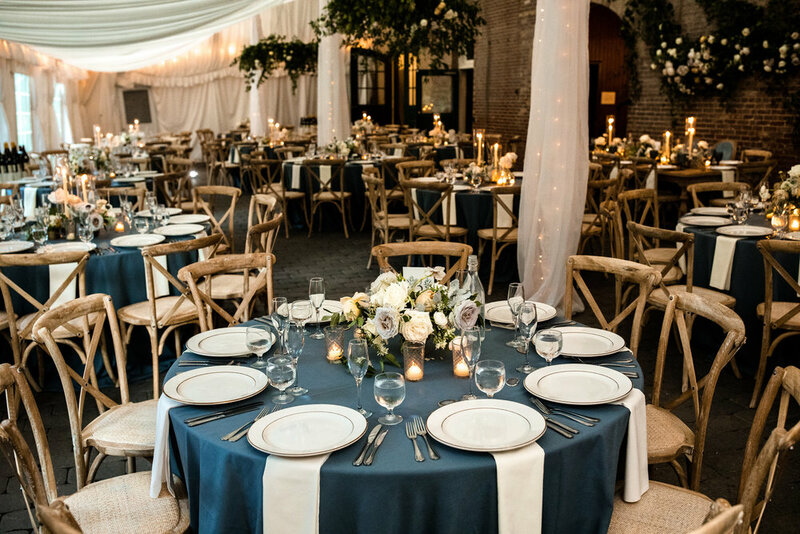 Neutral, soft colors, lots of greenery and pops of dusty blue were just so stunning in this setting. Guests were invited to arrive 30 minutes prior to the ceremony start for welcome cocktails (always a great idea in my book! ), and then headed through Evergreen’s sprawling manicured gardens to witness the happy couple’s I do’s. For their reception in Evergreen’s Carriage House, an epic floral installation by Steelcut Flower Co. served as a backdrop for the head table, along with wreaths of soft greenery floating above guests’ tables. Vintage-inspired furniture pieces and tabletop details completed the look. The celebration continued well into the night with dinner and dancing, plus a tarot card reader to boot! 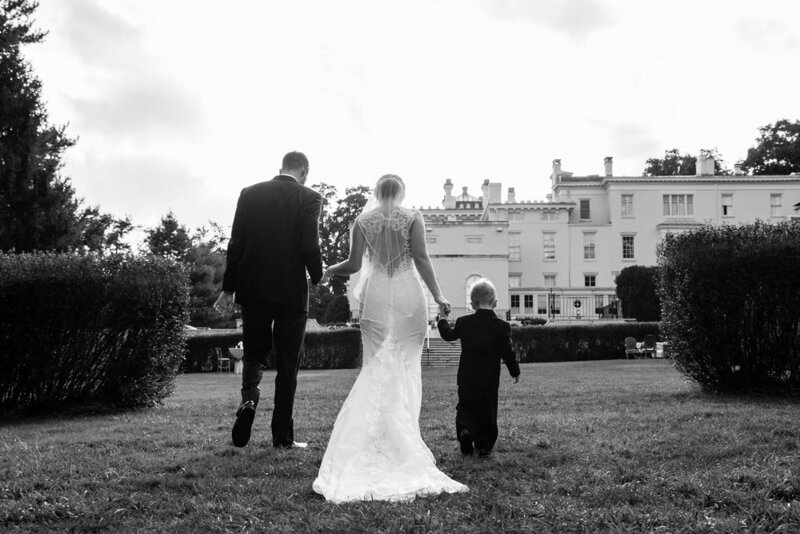 Check out more of this wedding via the highlights film below, captured by Just Hitched Films! Florals | Steelcut Flower Co.